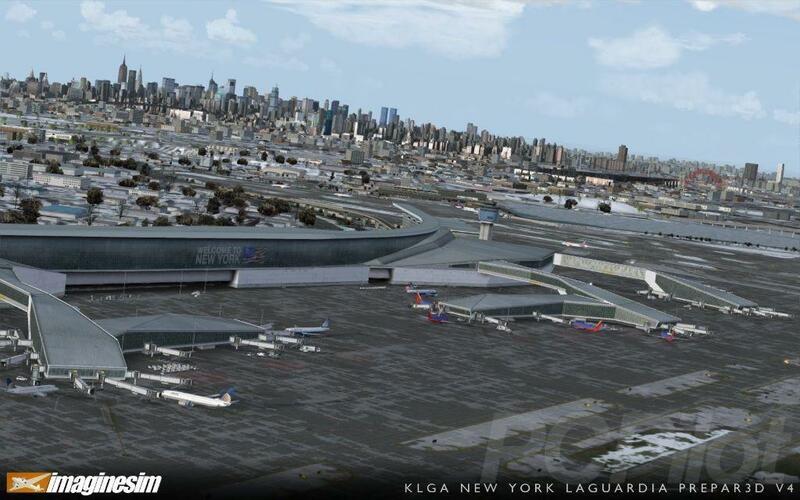 The latest destination from imaginesim is KLGA NY LaGuardia for Prepar3D v4. 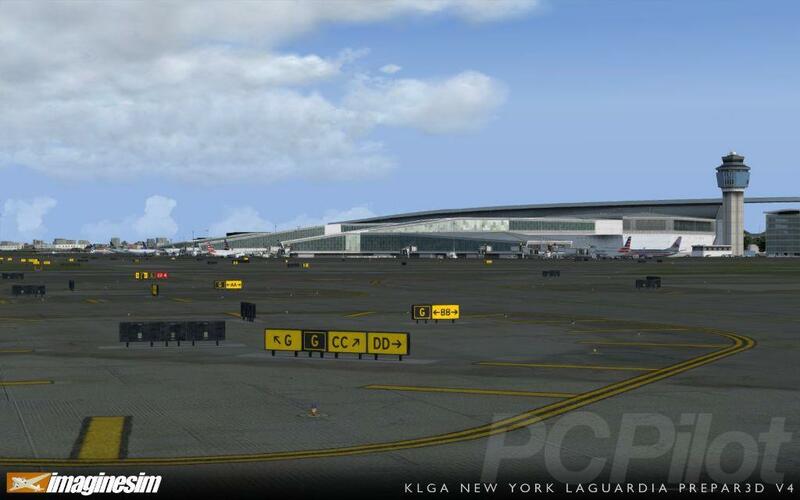 All terminal buildings feature high-definition weathered textures, custom shadows and animated SODE jetways. Seasonal textures, have also been added along with dynamic lighting and seamless autogen integration with thousands of hand-placed trees. 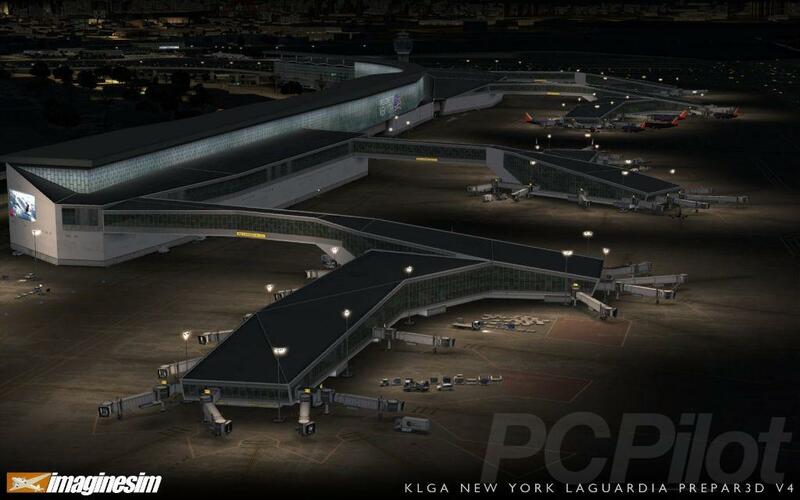 This also includes hand placed parked cars and hundreds of air side support vehicles. 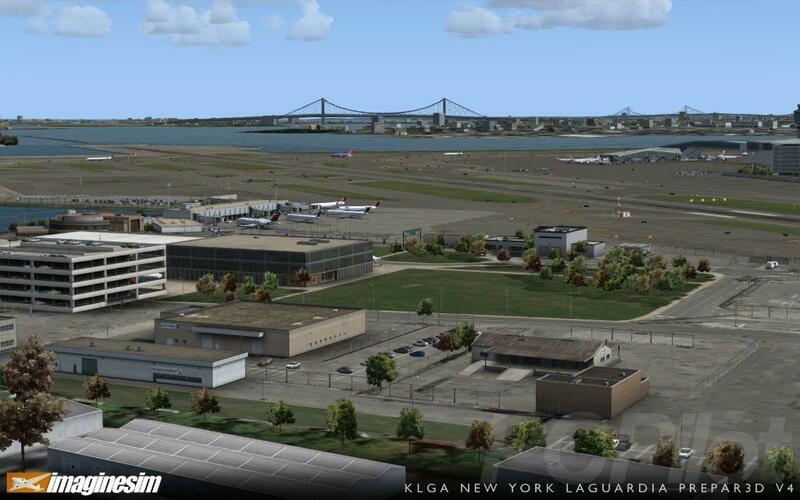 All runway and taxiway feature custom concrete, tarmac and grass textures along with worn ground markings and signage. 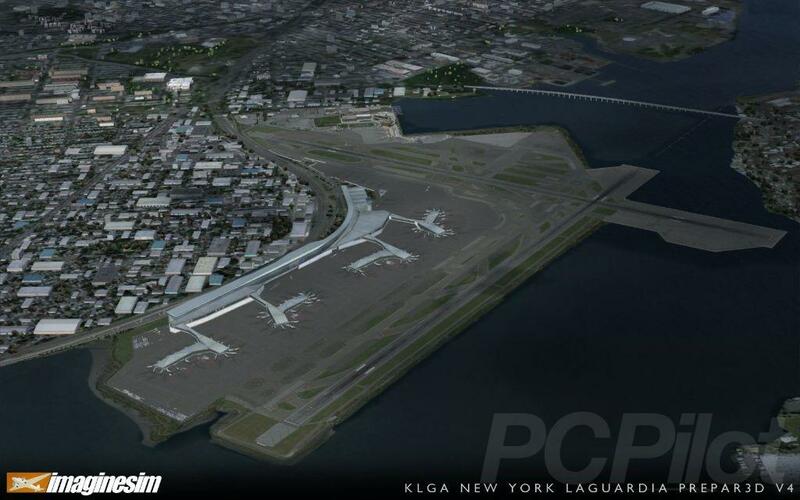 According to the developer, the package significantly improves performance compared with previous versions due to a complete model optimization and recompile using procedures optimized for Prepar3D V4. 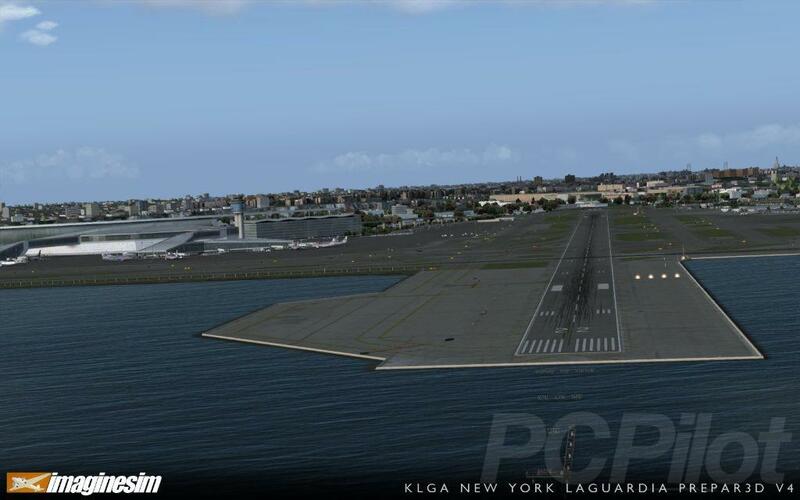 Frame rates are up by over a third compared with previous Prepar3D version and nearly double those in FSX. 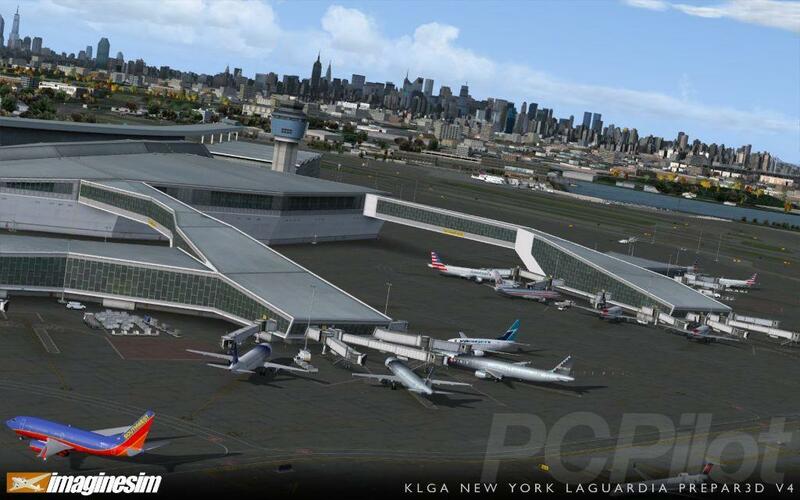 • Comprehensive ground and building optimization. 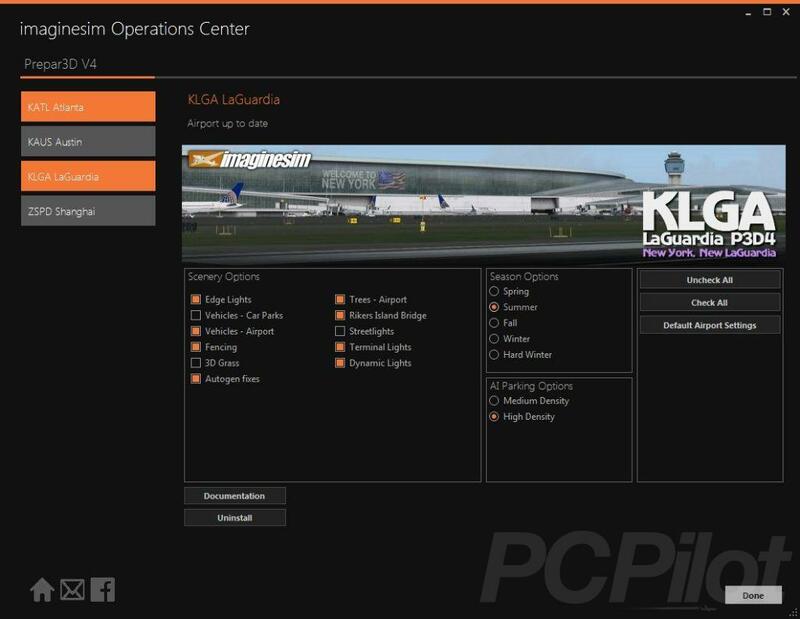 Customers who own the FSX and previous Prepar3D versions of KLGA 2016 can get the latest Prepar3D v4 version for free.